Using the above channels, Kristy Rodriguez helps you relate to your changing body, your fluctuating hormones, and your new identity. Every page has tips and advice to help you discover the happy, healthy, engaged, and energetic life you were absolutely meant to have. Kristy Rodriguez serves as a gentle, loving guide as she helps you achieve your healthiest pregnancy. Practical wisdom on every page makes this a must read for moms-to-be! 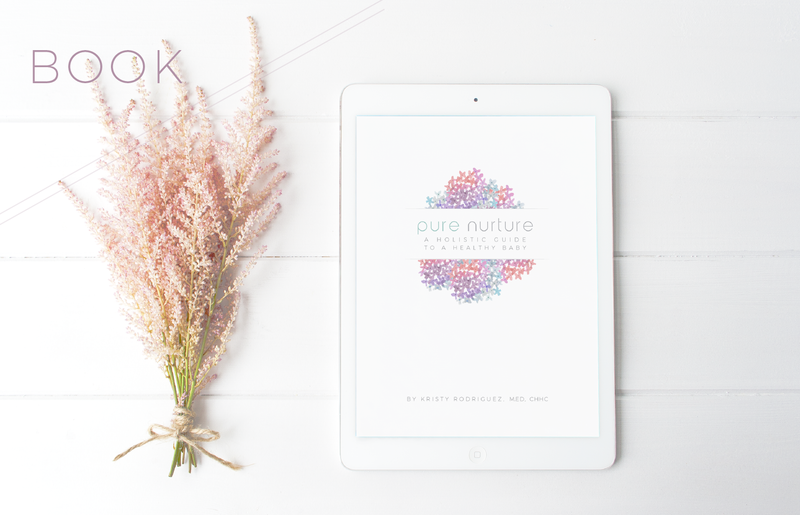 In Pure Nurture: A Holistic Guide to a Healthy Baby, Kristy Rodriguez delivers a gentle and intelligent guide to a healthy and holistic pregnancy. By focusing on the frequently overlooked topic of maternal self-care, this warm, informative book is the perfect companion for an intentional and joyful journey into motherhood.